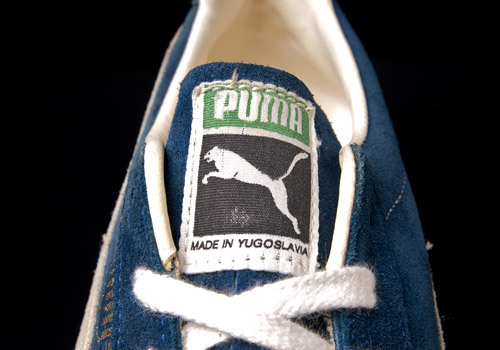 In a similar fashion to how ‘Made in France’ adidas Superstars and ‘Made in USA’ Converse Chuck Taylors are held as the holy grails amongst their collectors, the same goes for ‘Made in Yugoslavia’ PUMA Clydes. 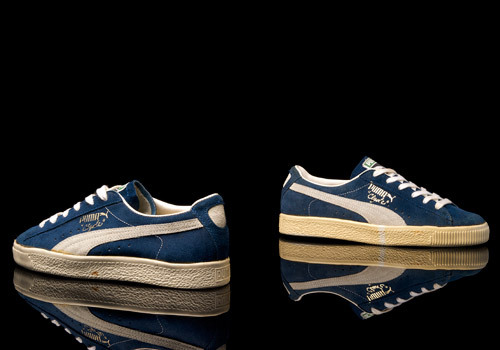 Made famous by the infamous and stylish Walt ‘Clyde’ Frazier from their introduction during the 1972 / ’73 season, the PUMA Clyde was a perfect blend of performance and style on and off the court which went on to be one of the prominent sneaker of choice within the hip-hop and b-boy community. 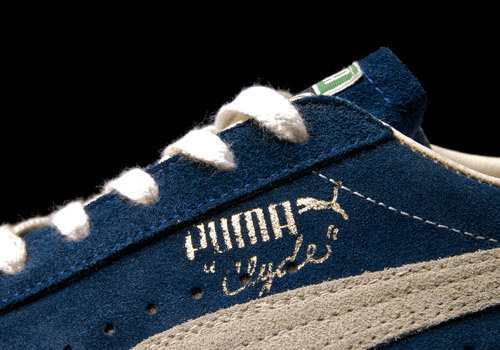 the previous PUMA Suede was customised for him and emblazed with gold-block lettering bearing his nickname of ‘Clyde’. 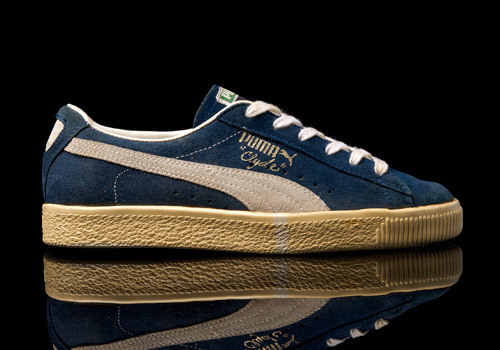 For the duration of time that the PUMA Clyde was manufactured in Yugoslavia there were slight differences with certain details that those with a discerning eye can notice; the box design, the font of the ‘Clyde’ stamp, and the sole pattern. 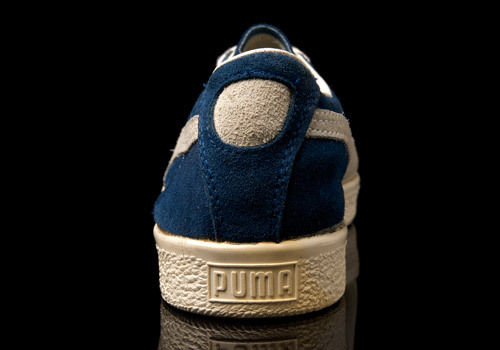 As the final production was hand finished, other details such as the stamp position, form stripe shape, and stitching would also differ from shoe to shoe, sometimes even within the same pair. 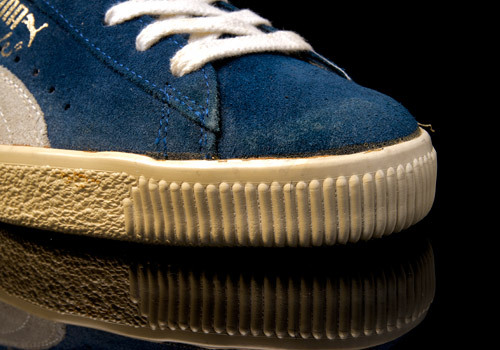 This added a unique one-off quality unlike any other sneaker production. 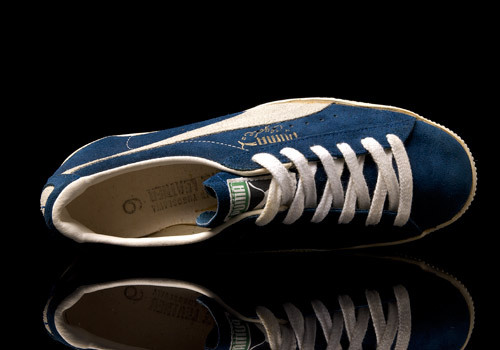 Originally released with five varying suede colours (kelly green, gold, scarlet, white, and blue) with a white form stripe they went on to be manufactured in an array of different colour variations and mock-ups. 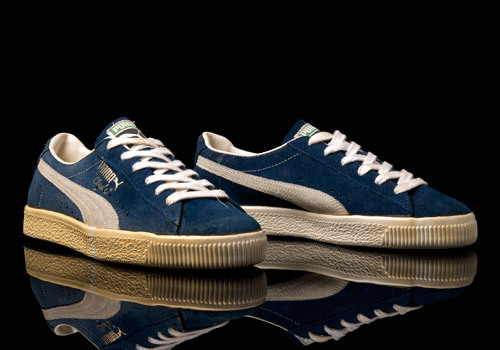 However, the original colourways still remain a staple favourite with all the retro releases that have followed since. 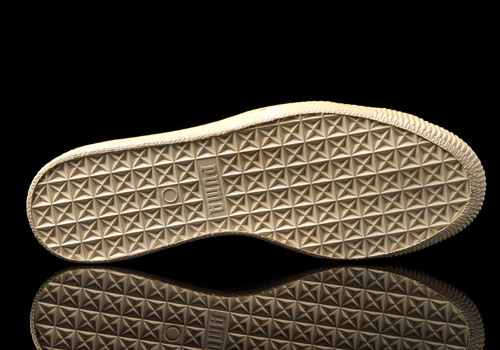 Awesome write-up! Keep ‘em coming!! !